Enjoy a wonderful fall country run that will raise money to support the transformative research at Weill Cornell Medicine’s Meyer Cancer Center. 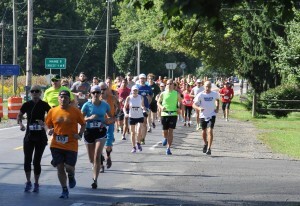 The I Run For… Half Marathon, Marathon, and 5k is also in need of 12 volunteers to be road marshals and provide parking lot support from 7:45 am to about 11:30 or noon on Sunday, Sept 11th. Please message Anne Congdon Seepersaud on Facebook, or send an email at irunforhalfmarathon@gmail.com if you are interested in becoming a volunteer.